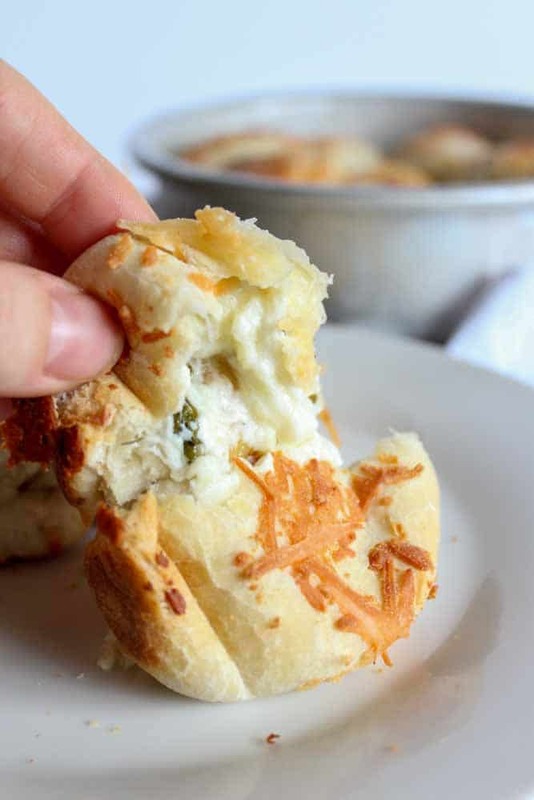 Skip the takeout pizza for these easy, cheesy stuffed white pizza bites for your weekend festivities! My Super Bowl spreads are always epic. For appetizer lovers like myself the Super Bowl is a dream come true. Dippable, shareable finger foods usually made with all the cheese and hot sauce. In one Super Bowl my friends and I managed to make cookie dough dip (kinda like this buckeye dip), buffalo chicken dip, pizza rolls, taco roll ups, wings, and so much more I don’t even remember. The table and counters were filled with snacks. Greatest. Day. Of. All. Time. Don’t get me wrong, this girl loves a giant pepperoni pizza as much as the next, but these stuffed white pizza bites are a game changer. Easy, no fuss pizza dough stuffed with 2 different kinds of cheese, roasted tomatoes, basil and garlic. So let me just lay it out for you. The reasons why these stuffed white pizza bots rock. 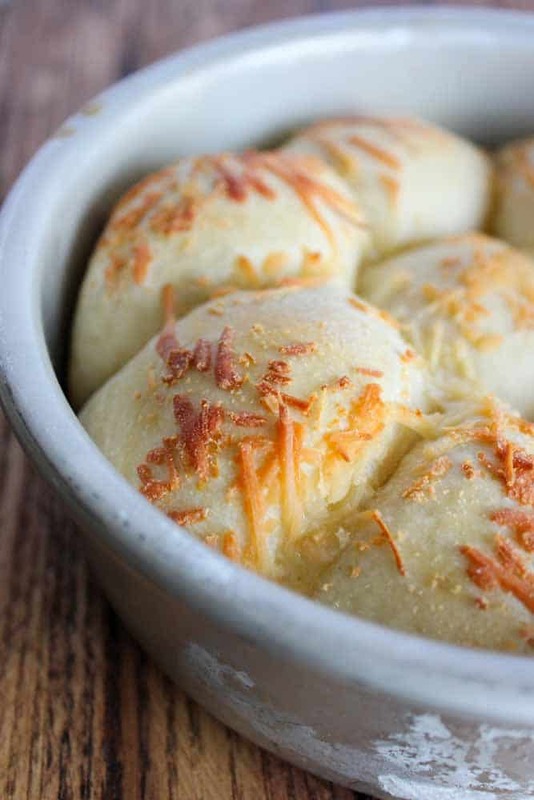 But really, I could go on and on about why these white pizza bites are one of my favorites, and you will too when you give them a try. One of my favorite pizzas is white pizza. I love marinara, but olive oil, garlic and cheese is like no other. And that’s exactly what’s in these adorable bites. Plus mozzarella, parmesan and roasted tomatoes. But who’s keeping track? When you pull these out of the oven they’re a perfect golden brown. And when you grab a bite and rip it in half the the tomatoes are bursting with flavor and the cheese oozes out like hot lava. I highly recommend making these for the Super Bowl. Or any friendly gathering for that matter. You can even make them ahead of time and freeze them until you’re ready to throw them in the oven. I’ve got a batch ready and waiting for Sunday? Preheat oven to 400 degrees. 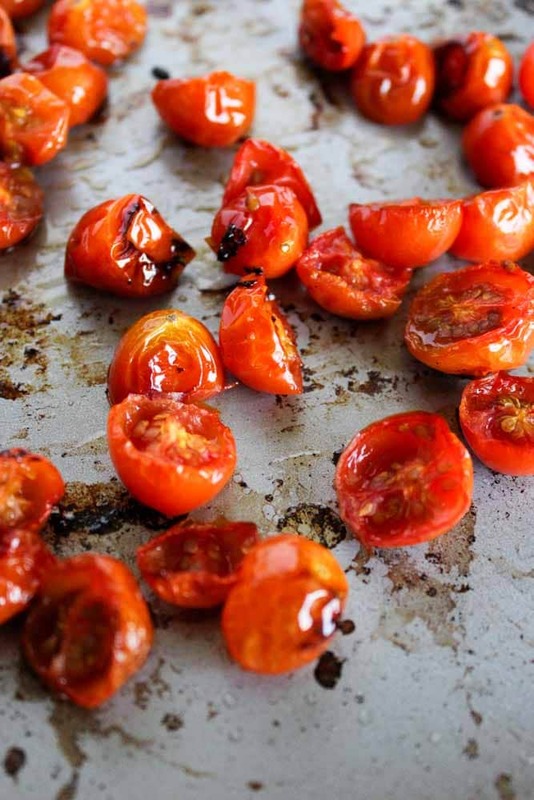 Line a medium baking sheet with foil then place tomatoes on top. Drizzle olive oil over them and sprinkle with the salt. Roast 20-25 minutes, until bursting. Reduce oven to 375 degrees and grease two 9-inch cake pans with cooking spray and set aside. Lightly flour your work surface and divide each tube of pizza dough into 16 equal pieces. Form each piece into a circle and flatten to a disk. Top with 1 to 2 teaspoons of cream cheese mixture and 1 or 2 roasted tomatoes. 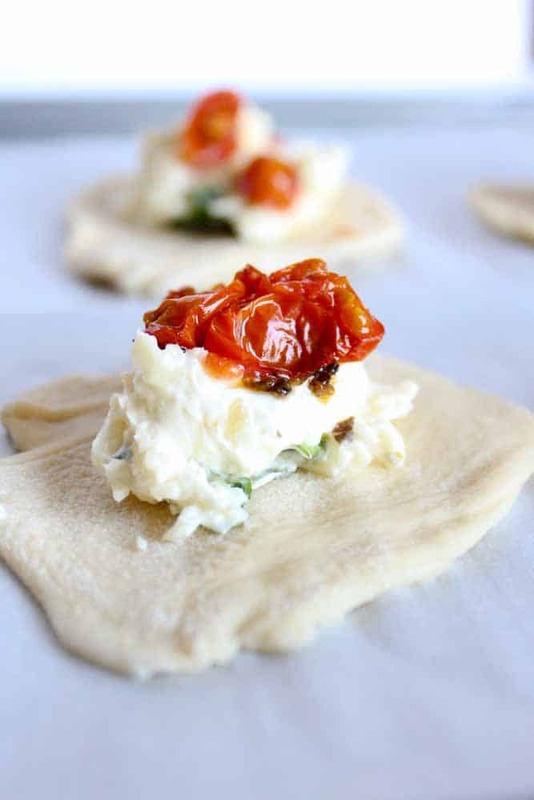 Fold the sides of the pizza dough up and over the cream cheese and tomatoes until completely covered. Firmly pinch dough together to make sure filling is inside dough pocket. Repeat the process for each bite. Beginning in the center of the pan, arrange all of the bites, seam side down, in a single layer. In a small bowl, whisk together the egg and brush it on top of the uncooked pizza bites. Sprinkle with parmesan cheese. Bake for 25-27 minutes until golden and bubbling. 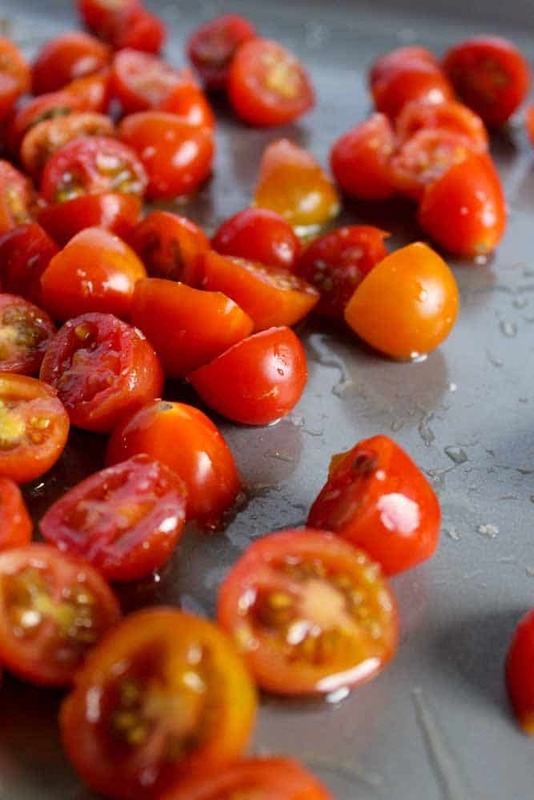 Remove from the oven, sprinkle with dried oregano and serve immediately.